This section contains instruction on many of the features related to a student. The Student record lives within the Family record and offers a centralized area to house and reference all information related to a specific student. 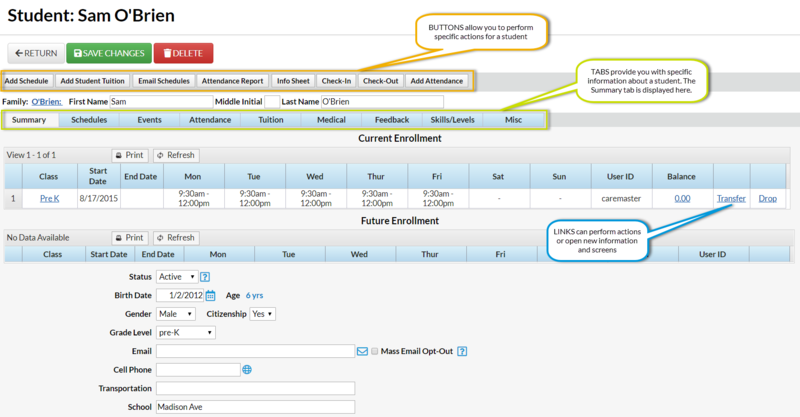 Each student record has its own tabs, buttons, links, and user-defined fields. Add a picture of the student on the Misc tab.